On a cold wintry day in 1940 awaiting the birth of a child to become amongst the finest of future men and distant to fill a gap, and to repair what was damaged by time. In the Kalar village on the banks of eternal river of Sirwan, which witnessed the miseries and endurance of people struggling for survival and better future. This child was named Salar meaning big or the elder; and he did become the elder during that epic. 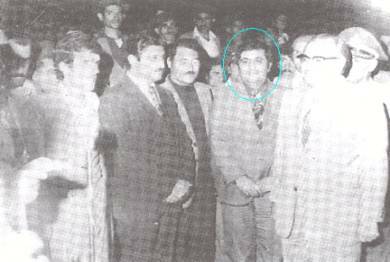 His mother was Khawer, wife of Dawood Beg leader of Jaff tribe. From early age, he showed signs of maturity, strong personality, and innovation; behaving like a grown up man while still a boy, imposing respect by the young and old, solving family and even tribe problems. He developed an urge for learning and to acquire experience of others, wishing always to be at the forefront of events. He completed his elementary schooling in Kalar and Kifri town, then in Ba’qooba where he stayed for several years. He learned Arabic and continued the secondary school there, then went to Khanaqeen city to finish his studies. Salar became prominent in this small city by becoming spokesman and representative of the students of the secondary schools despite his young age. During his stay in Khanaqeen the 14th July revolution took place under the leadership of Abdul Kareem Qassim where all parts of Iraq were boiling and bubbling; and as a result of that revolution a number of parties and various political groups cropped up on the both the far left and right, attempting to draw him to their camps. His far-sightedness and intelligence made him decline such attempts, but remained friendly towards them. The unsettled conditions and insecurity in Iraq were the main reasons for Dawood Beg the leader of Jaff tribe, Salar’s father, who at that time was a member of the Iraqi parliament and a well-known figure then, in his decision to leave the country. 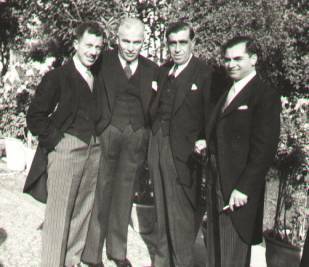 Upon the request of Salar’s father from Mohamed Reza Shah, he was warmly welcomed. Salar left Iraq in 1959 and chose Iran for his residence. He learnt the Farsi language and resumed his studies in Iranian city of Kirminshah. In there, he became his father’s assistant and companion in all his travels to the areas where the Jaff tribe existed in Iran and played a significant role in unifying the various sects and families of the tribe, and became the second man after his father, solving major and minor problems, helping the needy sparing no efforts in this regard. On the launch of the Kurdish movement in the sixties in Iraq Kurdistan, Salar was the first to provide help, collecting medicines and arms for the Pesh Merga (the Kurdish militia), of the young movement, as well as bringing foreign journalists to Iraq Kurdistan acknowledging to the outside world that there is a people suffering and fighting for its freedom and self determination, putting himself in constant danger, uncaring for his safety knowing it was for the good of his people. Salar left Kirminshah to accompany his sick father to Tehran the capital. In this big city, the scope wide open for him to acquaint himself with officials and prominent Iranian persons, and continuing his father’s political activities after his death. He began agricultural and commercial ventures, buying agrarian lands in the north west of Tehran in Khoram Dera (the Green valley) area, establishing with his brothers huge farm applying modern farming methods, which after few years it became the best model farm in country. Foreign delegations were brought in by the Iranian Ministry of Agriculture to exhibit the extent of advancement of agriculture in Iran. There was a milk production center of a 10,000 cows and 10,000 sheep capacity; an apples farm of 500 donems (the donem =2500 sq.m), a vineyard of 600 donems, in addition to other seasonal products and animal feed. In addition to this massive venture, the brothers built a tourists city in the area, which was known for its natural beauty and pleasantness of its weather. An industrial center consisting of deep freeze storage facilities, aluminum doors and windows factory, and a shoes factory were established. Those industrial and agricultural centres became showcase of modernization of modern Iran. Beside these engagements, Salar entered the political life vigorously, which made the existing parties compete to entice him to join their ranks; but he chose to join Pan Iransim party, which proclaimed to defend the rights of the various ethnics of Iran, and became an active member. After some time, he realized that that party was not sincere to its declared principles and decided to leave it. Shortly after that, he was approached by the ruling Iran Nowein (Modern Iran) party to join it, which Salar then accepted, believing that in doing so he can help members of his tribe as well as the Kurds of Iran by having a strong tool on wide scale. After a short while, Salar took a leading role to became the person in-charge in the party of all Iranian tribes, and elected to the Iranian National Shura Council representing Kirmanshah Province. He was vehement in his defence of the interests of the citizens of his constituancy in the Council. With the bigining of the revolution, disturbances and insecurity spread throughout the Iranian cities, in the form of demonstrations, made worse by the wrong policies of the Shah, which in fact helped the Mullahs and the Akhondies in their efforts, as well as for the Big Powers to interfere in his kingdom’s affaires. The scene of demonstrations against the Shah became a daily occurances, while he encouraged his supporters to go out and demonstrate too. He asked Salar Jaff and his brothers to organize huge demonstrations in his support in western Iran. Salar was took an opposing stand to this demand, but on the insistence of the Royal Court, and the Director of Ceremonies of the Court in particular, convinced them to take action. They went to the province to gather their supporters, which indeed they managed to build large crowd and launched big demonstrations in many cities in the province of Kirminshah with no serious opposing ones. These demonstrations worried the anti Shah front, who feared of their possible spread to the rest of the country, and began conspiring with individuals who were expelled from the National Security Administration ( Savak ). In the last days of the demonstrations in the Pawa town in north western Kirminshah, those individual began firing on the demonstrators, and an ensuing vicious battle took place where several persons of the opposition plus seven demonstrators were killed. These demonstrations had a a very high echo to the extent that it was reported in all the Iranian as well as some international press Der Speigal, The Times, and Le Mond). In the aftermath of these demonstrations, which scared the opposition and planned to put an end to them while they were still at their beginnings, fearing they might form a massive popular movement, and as the media was dominated by elements opposing the Shahanshahi regime, a campaign of distortion and misinformation began against Salar Jaff and in bold letters. This campaign on one side made the supporters fearful, while pressure was exerted on the Government to request withdrawal of Salar Jaff `s parliamentary immunity on the other. The parliament rejected such demand, but decided to detain him in the building of the parliament . Days after the collapse of the shahanshahi regime , and the dominance of Khomaini and his supporters in Iran , a mock trail wich lasted only few minutes , the death sententance was passed on Salar Jaff , and he was soon carried out ..
Born in 1903 in Sherwana area, Mohamed Beg was a prominent distinguished person capable of speaking Kurdish, Arabic, Turkish, and Farsi. He was chosen a member of the Council of Establishment of the Iraqi State in 1925; was present the Council of Referendum that was conducted by a delegation from The League of Nations which went to Kirkuk to assess whether Musol should be adjoined to Turkey. He had a firm stand against such a move, and there was a harsh exchanges between him and Hajj Abdullah ElYaquobi, which became a landmark in the national history. 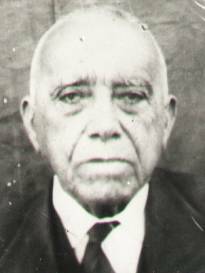 Mohamed Saeed Beg is the son of Mohamed Beg ben Fattah Beg ben Mohamed Pasha Jaff the historically and tribally famous person. Born in 1926 in Kalar village and known for his patriotic and nationalist stands, author of many books and writer of hundreds of valuable articles in the Kurdish papers and periodicals. 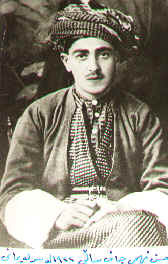 The outstanding scholar Mohamed Mullah Abdul Kareem describes the personality of Mohamed Saeed Beg Jaff: “ I saw Mohamed Saeed Jaff not in person but by name, in the forefront of the many articles published in Galaweez and Hewa, the two Kurdish newspapers which once were the sole jewels of the Kurdish cultural life, that within ten years of their existence made noble and intense contributions in the fields of the Kurdish language, literature, and culture, and assisted in the nourishment of generations of authors, and played vital part in the promotion of democratic thinking and exposure of fascism and war. I knew Mohamed Saeed Jaff by name through those two periodicals and his writings and translations, realizing his the civility in his enlightened rational, eager for change and modernity, coupled with spiritual attachment with the masses of his people, and his feeling towards, and association with their sufferings of the deprived. I came to meet him face to face shortly after the revolution, and during the volcanic events caused by the revolution that penetrated the depth of society, and the harsh conflict that came about everywhere, especially in the countryside. Such sufferings that went back to the days of the monarchy and even before it, I found him, and contrary to expectations, not affected by the new status quo to revise his old conceptions, or disruptions to his inner self, in seeing of what were previously sheer theories, but requiring him putting them into practice, and where genuine thoughts were exposed collide with material interests. He faced all these events calmly, accepting them with dignity, and not reacting to his instincts of the turmoil of the time. He was at ease with himself that he expressed and pointed out such realities from the early days of the enactment of the first legislation by the revolution of the agricultural reform. I found him utilizing his wide contacts with every nationalist side to participate in the national dialogue to direct events into rational way. He obviously was doing the same thing with his family, relations, and tribe, who found them on the other side of the front line. He continued this method till the end. 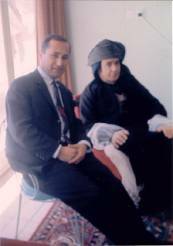 I did not meet Mohamed Saeed Jaff for a long time after that, until we found ourselves face to face in the offices of AlTa’akhi newspaper, which he was one of owners, and I was the editor of the Kurdish literature section and translating for its Kurdish supplement. Although that period did not extended for more than a year and a few months, we met frequently then and I found him even more convinced than before of his old beliefs, and his social conscious more entrenched. I found him in the middle of the struggle and fight for a just solution to the national problem of his people, even more so than before. I found him standing truly to play his part to consolidate the Arab-Kurdish brotherhood, a cause fought for by generations of various powers and the Iraqi Kurdish nationalist and progressive parties, which by the actions of the short-sighted and mistaken policies, which lacked understanding of the spirit of time and throughout history, resulted in finding serious cracks. His influence and the influence of others like him was too weak to stand in the face of a sweeping current which was pushing the situation in the direction that was suppose to be taken Iraq and its people. Thus events separated me from Mohamed Saeed Jaff, until the early 1980s, when we renewed our meetings every now and then, such a relationship that can be severed by death, which separate all dearest of friends. During that course of time that extended for more than fifteen years, I got to know Mohamed Saeed Jaff more than any time before, learnt from his vast experiences, and saw his good sole from different sides, which were not known before. I found his quest for further knowledge more eager than any other thing, seeking the truth, propagator of for rationality in people’s lives, searching for wisdom from any well that can be extracted from, friend to all which their friendship can only bring benefits to the interests of the people and country. He engulfed himself in his last years, despite many setbacks that he faced in his life, in writing with strong vigor unlike previous times. In addition to the short articles and essays that he published as a short term policy in the Kurdish publications. He was involved in writing down his memoirs, and an encyclopedia book of Jaff tribe on both sides of the Iraqi-Iranian borders where the tribe live in that most vibrant part of Kurdistan, and its role in the public life and connection with political and national events in particular which took place on this part. He proceeded a long way in this project, and I wish his good sons will not render this legacy incomplete, and continue his research for the benefit of our Kurdish people, and national culture generally.” He married Ziba khanem the daughter of Kareem Beg Jaff & have two daughter, Zian and Joan , and three son , Khasro , and Nabard , and Kesra . Mohamed Saeed Jaff passed away in 24 March 1996. He was a generous man, joyful; open hearted, and an extrovert. A patriot who believed in his Kurdish people’s cause, and participated in the 1961 revolution. He was steadfast to the movement till his death. 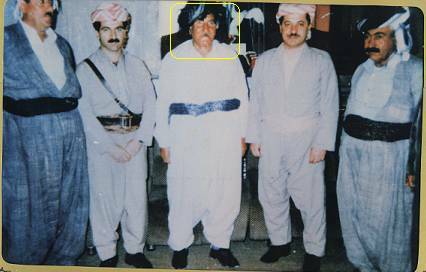 He also remained loyal to Mullah Mostafa Barazani, the leader of the Kurds, and became a member of the leadership of the Kurdish movement. 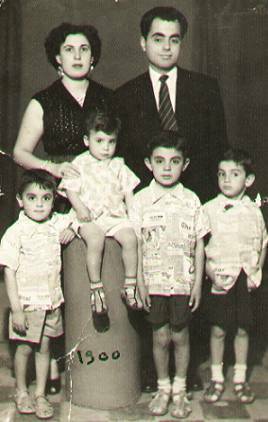 Mostafa Beg Jaff died in1977 in Baghdad of a chronic illness, and left six sons and two daughters. 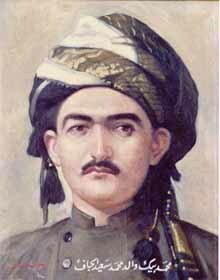 He married Afifah khanem daughter of Reza beg Jaff , they have two daughter ,Sohaila & Nasrin , and three son , Hagord , Shaho , and Alborz , and married Maliha Glali , have three son . Amir , Ari , Tharwat . Khasro Jaff was born in 1945 in Kalar village in the midst of a cultural and educated environment of the Jaff family, that was known for its culture and learning. His father Mohamed Saeed Beg Jaff was, and throughout his life, in the forefront of the cultural life and a distinguished figure in such Kurdish circles, and for more than forty years his works shined in the newspapers and periodicals of Kurdistan. Khasro Jaff was multi talented; a prominent architect, a gifted….. artist, and an inspiring poet whose verses touched the soles; a novelist and author; further more is the man who loved his friends and most modest with those who respect him and consider him a friend. His architectural achievements, which seemed strange at times, that you can pinpoint a certain building of his design by looking at it. Khasro Jaff is a person who comes from old times, his shining glare catches the eyes, and his sole burns like burning ships in the middle of the sea. There is a revolt, a confrontation in his poetry, and a Sufi passion of the ejection of the matter. He is his own king, a lover of the first order, who remind us of old gone glories and cidatls trembling. Together with the creativeness that is stored in his memory, he is often the spoiled, obstinate child who cries about a lost toy, seeking the wound! Khasro Jaff is a human poet in the full meaning of the words; he adores the sands of his land, the air and the water as he loves his poems and his polite madness; the eyes shine for the love of all; in his poems we discover the human who searches for his secret, like Gilgamish who searched for plant of eternity. His words shine like diamond in a mountain night, changing colours and lighting to proliferate the skies. Only the threads of innocence extend in an embrace of poetry and such innocence, to spread in the midst of the poems of Khasro Jaff, like a lost sea searching for shores. In his novels we find a historic tendency to document various aspects of Kurdish history in their recent and distant past, to the extent that this tendency is magnified in all of his five novels in one way or the other. Here the question must be asked if it proper to magnify the historic leaning in the writings of the English novelist Walter Scot, and the French novelist Anore de Palzag who aspired to become the secretary of French society, after documented historic events in volumes of his well known novel The Human Trajedy, which was published in the first half of the 19th century. If such was the intention of Khasro Jaff, it would then be for a noble purpose when the novelist is transformed to a historian, honest to actual happenings of his country, and when this nation is Kurdistan his own, and his basic objective is the documetation of aspects of its history, then such mission must be sacred. Some of his better known novels are: Korde Re-The Valley. Heech-Nothigness; Pashayan Kosht-they Killed the Pasha; Raz-The Secret. Ga Mal-The Dog; Afreetat Al Sultan-The Sultan’s Ghost. Wereena- The Blab. He also wrote the Kurdish Encyclopedia. He married Khorshidah daughter of Dawood Beg Al-Jaff & have one daughter , Glarah , and one son Wais . Sarteep Jeff was born on 20 July 1944 in Kalar, and despite the fact that his father owned most of the lands in Shahrazoor district and (Sarawi Siobhan Agha), his father decided that it was preferable to stay in Kalar village with his uncles Dawood Beg and Kareem Beg the leader of the Jaff tribe. His mother Ameena Khanum the daughter of Reza Beg ben Fattaah Beg ben Mohamed Pasha Jaff. Sarteep completed his elementary school in Kalar, and then moved, with his family to Baghdad in 1959 to continue his secondary schooling in at the Sharqeia School. 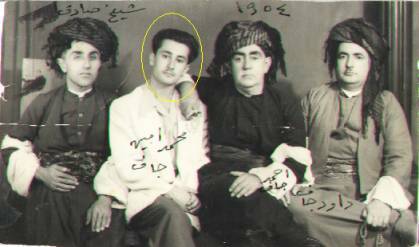 He involved himself in politics from early age when in 1960 he became in-charge of the Kurdish student union of the Sharqeia, and he had not reached 16 years of age yet, and also joined the Kurdish Democratic Party. 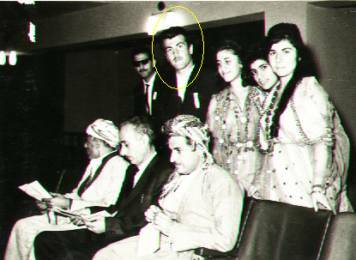 In 1961 he joined AlHikma University (the American University) in Baghdad to study civil engineering, while also heading the Kurdish organizations in the university. He moved to Baghdad University and obtained a Diploma in industrial engineering; and became a member of the students committee at Baghdad University. 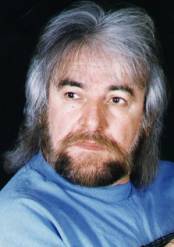 Afterwards he moved to the Mustanseria University and obtained a degree in civil engineering with honours, and came top of his group. He then studied law and politics to obtained a degree in that field. In 1963, and because of changing political conditions in Iraq when Kurdish parties began facing restrictions on their activities and became unable to function openly, the Kurds reverted to underground struggle. Sarteep Jaff played prominent part at that time when Mr. Nosherwan Mostafa, the person in-charged of the Party, asked him to hold a secret meeting at his father’s house in Baghdad, a meeting that was attended by the martyr Mohamed Sideeq, Mohamed Abdul Wahab, Ali Kamal Haj Abdulla, and Nosherwan Mostafa, to draw out a plan for the Kurdish political activities regardless of the difficult circumstances at the time. In 1966 he was a member of the leadership committee of the students in Baghdad together with Dr. Nozad Salih, engineer Salar Jalal, and Mohamed Abdul Wahab when they were visited by Mr. Jalal Talibani (Mam Jalal) during a secret meeting of the students’ committee to give them the necessary instructions. 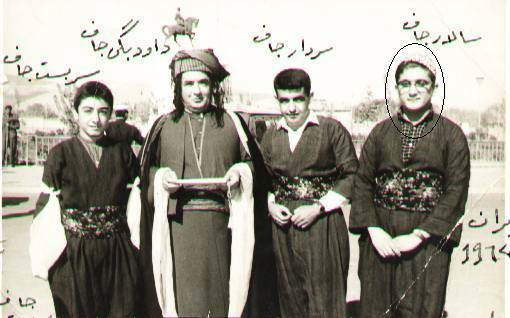 In 1968 he became member of the Baghdad district committee and in-charge of the Kurdish Students Union in Baghdad together with Mr. Shah Zad Saeeb, Serbest Bamerni, and Mohamed Abdul Wahab. He was also a candidate at the students union’s conference in Gla Zerde in Sulaimania; then he became member of the leadership committee of Kurdish civil servants in Baghdad with the martyr Rushdi Ali Shereef, Kamal Shali, and Ibrahim Beshda Ry. In 1968 and during the meeting of the local committee in Baghdad, he was asked to accompany Mr. Jalal Talibani to conference in his own car to the conference with martyr Rushdi Ali Shereef and Kamal Shali. 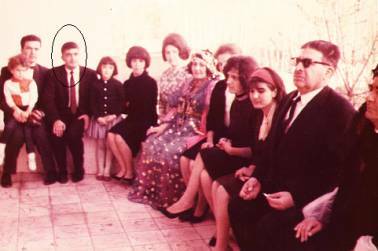 In 1970 he was elected to the administrative council of the Iraqi engineers union representing Jalal Talibani’s group. Sarteep Jaff was a member of the delegation that visited Sudan with Chairman of the Iraqi engineers, where pamphlets and books were distributed delegates from all parts of the word to enlighten them of the Kurdish case and the struggle for the achievement of their national rights of the Kurdish people. 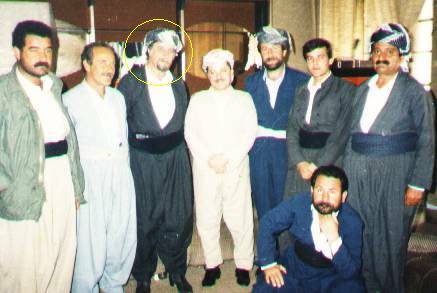 Sarteep was a committee member that undertook to unify the two groups of the Barzani and Talibani, and contacted engineer Sami Abdul Rahman and engineer Dara Tawfeeq and it agreed to hold a combined meeting that was attended by Mr. Dara Tawfeeq, engineer Sardar Abdul Rahman, engineer Kamal Arif, and other Kurdish engineers. 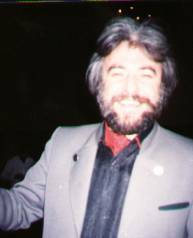 In 1974 and due to personal circumstances, he left to Western Germany where he learnt the language and was recruited by a German company (Lewis Fetcher) to become its representative in the Middle East and Iraq. 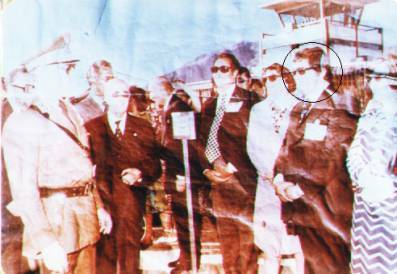 In 1976 he became the manager of a project of the company in Dewaneia for the construction cotton-weaving factory there. At that time thousands of Kurds were deported to the south of Iraq living in miserable conditions, unemployed, and deprived of livelihood. Sarteep Jaff employed many of them, and about 500 of the Barzani deportees. Sarteep Jaff continued the work and executed projects for the company for more than 10 years, where most of the employees were Kurds. He later worked on his own in contracting, business, and industrial works in Baghdad and Kurdistan. He was involved in philanthropy helping needy families. He developed tendencies to Sufism and became an advocate of the thoughts of Sheikh Abdul Qadir AlGelani, and visited the Holy Kaaba. He married Taban Jaff the daughter of Dawood Beg Jaff & have four daughter ,Shler , Sham ,Sima , and Saiah & one son , Ahmad. 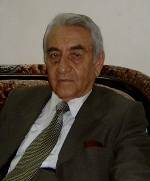 Hassan Jaff was born in the twenty second of September 1941 in Kalar village, and completed the elementary and secondary education in Kifri and Khanaqeen city, then his university learning in the CollegeLiterature at Baghdad. 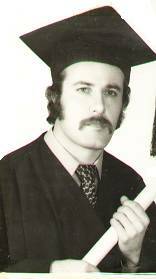 He traveled in 1966 to for post graduate studies where he completed a Master of Art degree in history in the College of Literature at Tehran University in 1972, then a Ph.D. in Islamic studies in 1974 from the college of Islamic Knowledge at the same university. 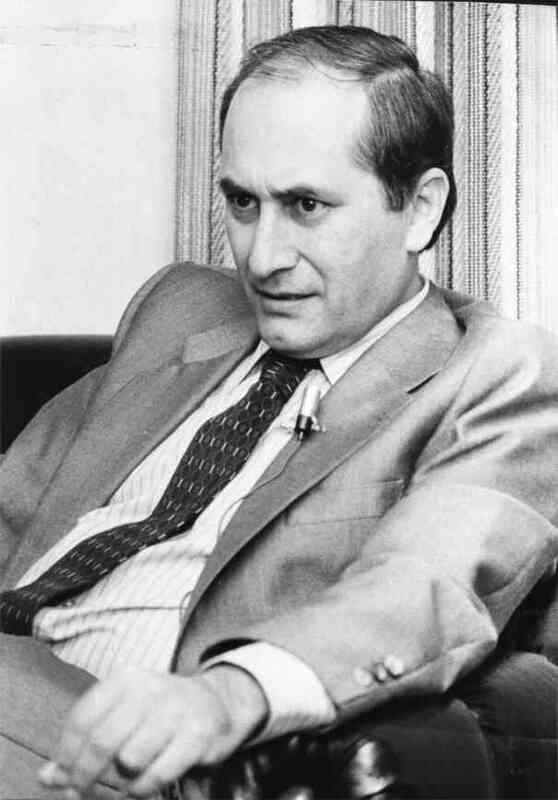 Where he became an assistant professor in 1975 until the outbreak of the Khomaini revolution, which impelled him and his family to leave Iran of the political conditions, and returned to Iraq beginning he was appointed at the Literature, history section, at Baghdad University as assistant professor. He then became Director General of the Awqaf Ministry. Outbreak of the Iraqi-Iranian war, he joined the Iranian Kurdish opposition movement against the Khomaini regime, and took charge of Halabcha sector and continued fighting until 1983 when he withdrew because of his health conditions. He was elected member of the National Assembly representing the city of Sulaimania. From then after he indulged himself in writings, research, and investigations in the sources of Kurdish history and the Kurds in particular. He wrote several books on the subject as well as research papers and articles that were published in newspapers and periodicals in Kurdish, Arabic, and Farsi. Amongst his books: AlWajeez fi Tareekh (A short history of Iran in four parts. And Hathihi Alaqaweel Behathihi Alma’eer Lam Yabqa laha Rawaj, These Schemes on These Parameters Have no More Grounds). He translated Rihlat Reej fe shemal AlIraq (The Journey of Reej in the North of Iraq) from Farsi. 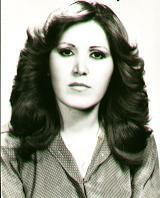 Dr. Hasan in still continuing in teaching, research, and writing, and became head of the history section of the Studies. Higher for History Arabic of Institute . 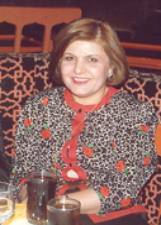 Dr. Hasan was an activist in the nationalist movement of Iraq. 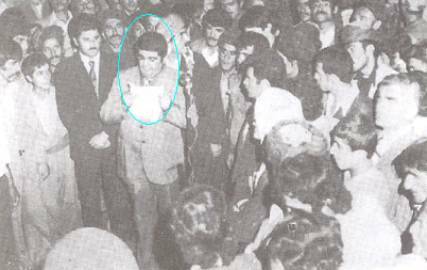 In 1962 he joined the students demonstrations, and was a member of the Supreme Committee of the Kurdish Student Union; he was imprisoned for his patriotic activities during the rule of Abdul Kareem Qassim and sentenced for five years together with other students of the university. 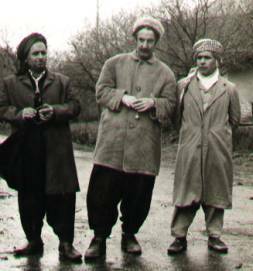 He was released after the 14 of Ramadhan revolution in 1963, and immediately after that he joined the Kurdish armed movement in the Qara Dagh sector as a political advisor, and continued in the Kurdish movement until 1965, when, upon the instructions of Mullah Mustafa Barazani, returned to his studies to finish the university in 1966. Dr. Hasan Jaff is regarded as a moderate who believes in the national rights of the Kurdish people in all countries where they cohabit with their fellow citizens,and his efforts in raising the cultural standards of his people, for achieving the hopes of the Kurds to take their place under the sun as other peoples who live 0n this planet . He married Galawiz Jaff the daughter of Dawood Beg Jaff and have one daughter Diman & one son Diako . Hassan Beg ben Ali Beg ben Mahmood Pasha Jaff, born in 1906 in Kotrah Rash village, near Shahrazoor. His mother is Naheda Khanum, the daughter of Othman Pasha Jaff. His grandmother Adela Khanum and his uncles, the two renowned poets Taher Beg and Ahmed Mokhtar Jaff, brought him up. He went, in his early youth, into agriculture and the management of his estates when he was one of the biggest land owners in Iraq, as outlined by acclaimed writer researcher Mr. Hanna Batatu in his book: The Old Social Classes and the Revolutionary Movement of Iraq; book 1, p. 107. “ It is imperative to state here that although Begzada Jaff in 1958 owned a total of 539333 hectare of land in various provinces,the biggest land owner in the family, Hasan Ali beg Mahmood Pasha Jaff from Sulaimania owned only 56764 hectar.These data was obtained from the Ministry of Agrarian Reform, February 1964.” Mr. Hassan entered into politics to become a member of the Iraqi parliament from 1947 till 1958. He was a culture person who mastered the Farsi, Arabic, and Kurdish languages, and wrote many essays and research in Galawz (Suhail) the monthly Kurdish periodical, and compiled high standard research articles on the history of the Zendi Kurdish dynasty, which ruled Iran in the second half of the eighteen century. 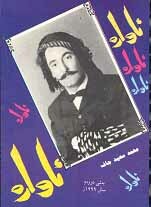 Among his books in Kurdish: The Hero of Zend, which outlined the biography of Lutf Ali Khan Zend, the last of the Zendi kings, a translation from Farsi, and published in 1956. Other translated book of his was: Kurdistan, the Return of Ten Thousands Greeks, in 401 B.C., written by Zeinafon, also published in 1956; he also had a valuable scripture about the Jaff tribe’s history, written in 1960 but not yet published till now. Mr. Hassan Beg was an amiable and highly courteous person to a very large extent. One of his most admirable and courageous stands that witnessed his courage in the political life, was his denial of what was published in the official press of his position against the Kurdish movement, and Mullah Mustafa Barzani in particular, and his full support and backing of the Kurdish movement under the leadership of Mullah Mustafa Barzani in 1962. 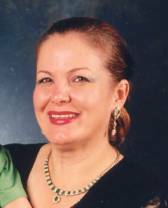 He married Aminah khanom and have one son , Hoshmand , & one daughter , Nasrin . 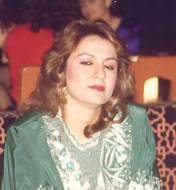 Also married Akhtar khanem ezzad beg son of Othman pasha Jaff , and have four daughter , Bano , Nazanin , Parween , and Parikhan . The late Mr. Hassan Fehmi Jaff passed away in 18, June 1973, and buried in his grandfather’s mosque in Sadeia town. Sarbest is the son of Dawood Beg, the leader of the Jaff tribe, born in 1945 in Kalar village, his mother Raa’na khanom the daughter of Ahmed Beg ben Mohammed Saleh Beg the Baram Begy family elder of Begzada Jaff. 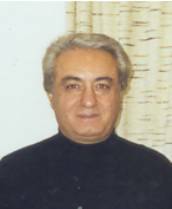 He attended his elementary schooling in Kalar and Khanaqeen town, and in 1959 immigrated with father to Iran and completed his intermediary and secondary schooling in the Iranian city of Kirmanshah, then joined the College of Law and Political Science at Tehran University. 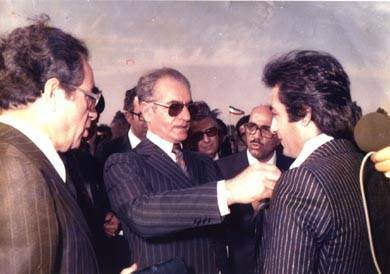 Sarbest began in agricultural business in the area of Khoram Darra, which is part of the Iranian Province of Zanjan, and became a successful farmer in that area, and Mohammed Reza Shah Pahlawi of Iran awarded him the golden medal of agriculture. After the fall of the Shah, he immigrated to the United States of America and obtained a Ph.D. in the Farsi literature; then returned to Iraq to work in commerce and industry. In 1975, a number of widely distributed Iranian newspapers such as Kaihan Italaa’t plus other Iranian periodicals, published several articles entitled (The agricultural projects of Sarbest Jaff) detailing in data and statistics fruit trees that Sarbest manages and owns, which broke all records in the modern history of Iran, totaling 1,246,000 tree (one million two hundred and fourty six thousand) spread throughout Khoram Darra in the Zanjan province. Apple and grape were the mainly the productive ones, in addition to non-productive trees which were irrigated by the dripping system. 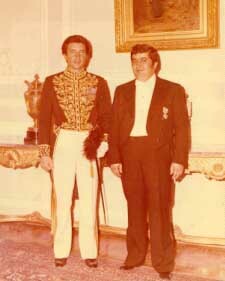 In the spring of the same year, and in the district of Kamboye in the Ahwaz province, a mass festivity was held in the presence of the Shah of Iran and the Prime Minister Amir Abbas Howaida and Mansoor Rohani the Agriculture Minister, when the golden medal, the highest in the modern history of the nation, was awarded to him by the Shah. 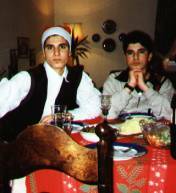 He married Behnaz Behbodi & have two son , Mohammed kurdo & Ahmad Kamiar . 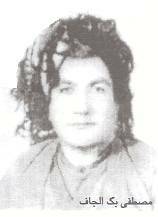 Born in Kalar village, his mother Zeeba daughter of Kareem Beg leader of Jaff tribe, his father Mohamed Saeed Beg Jaff the well-known progressive writer in the Garmian district in south Kurdistan, who had honorable stands in the struggle of the 40s and 50s. Nabard Jaff grew up in such a progressive ideological environment that enriched his consciousness for freedom and democracy for the Kurdish people. He completed his elementary and secondary schooling in Kalar village and the city of Khanaqeen; then moved to Baghdad to finish his schooling there. Upon getting his secondary school certificate in the late 60s, he went to the military college, and graduated an officer. At that stage he established contacts with the Kurdish movement to be one of its members, a step that he truly embraced, and later he joined the Kurdish forces and began his nationalist fight for the liberation of Kurdistan. He was later forced to join his family who were living in Tehran, and there he decided to continue his studies in the College of Literature at Tehran University. Due to his passion to freedom and democracy, he founded friendship in the university with the progressive students and participated in their fight for democracy and freedom in Iran. Being brave and generous and his house was a refuge for the needy students and those who came from outside other Iranian provinces. 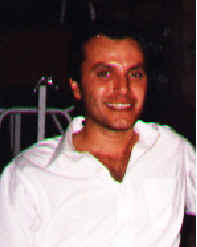 An example of his bravery was his stand on the day of Khomeni’s arrival of power in Iran, and despite the disturbances and fighting that were taking place in the street of Tehran, he took a decision, together with Dr. Sarwat, to help his cousin Salar Jaff, who was under arrest in the National Shura Council. But alas they were not able to help Salar, and after a vicious battle, the Khomeni gang captured Salar Jaff, and he was martyred later. After those events, his family was forced to leave Tehran and go to Iran Kurdistan, on the Iraqi-Iranian borders. 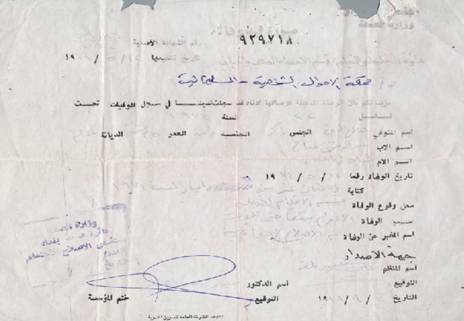 The Iraqi Government then contacted his family, who wanted to send a representative for negotiations, and chose Nabard Jaff, although he was an ex officer in Iraqi army, and facing danger because of that; but he insisted to be the representative. 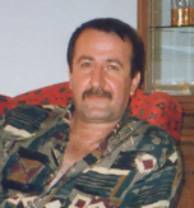 The family then returned to Iraq and cooperated with his cousin Sardar Jaff, who was battling the Iranian government for freedom and democracy, in the Kurdish national movement. When Mr. Sardar Jaff was forced to abandon his armed struggle, due to regional policies, Nabard Jaff settled in Baghdad city. This quiet living did not make him forget the central case of his life, that of the Kurdish cause, which was the first and last objective. During the Iraqi-Iranian war he cooperated with the Iraqi government, because he believed the Khomeni government was the biggest danger to Kurdish nationalism. Meanwhile, the Iraqi government began the campaign of destruction of Kurdish towns and villages, and the resettlement of the people in compounds. Such actions were neither acceptable to, nor compatible with the beliefs of Nabard Jaff, and decided to join the Kurdish forces, and indeed he did together other armed individuals from the Jaff tribe, a move that was looked at with dismay, giving the circumstances of the Iraqi-Iranian war, which was at its peak, and also considering the weaknesses which the Kurdish movement was passing thru at that time. 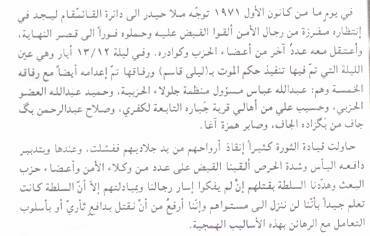 But Nabard Jaff, as we know him, does not compromise his national principles and his decision was the correct one. Again, because the war in the border, the weakness of the Kurdish movement at that time, and their inability to start the fight in the area, he was forced to go to Iran, where he became uncomfortable, because it was not his real objective to remain in Iran. Therefore he contacted Mr. Masood Barzani, the leader of the Kurdish movement, to inform him that he was leaving Iran, and to travel to a European country, where he became a refugee in Norway in 1989. He remained there until the uprising in Iraq Kurdistan. 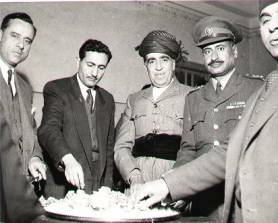 Upon his return, he was appointed director of the Military College in Erbil. Nabard Jaff did not complete his mission that he struggled, and spent most of his life for. But unfortunately he died in 1993 before he was 46 years of age. Nabard Jaff loved his country intensely, and his country reciprocated his love and as if invited to return to die and be buried in its soil. Beside his patriotic struggle, Nabard was a gifted poet, a good writer who published many articles in Kurdish, Iranian, and Arabic newspapers and periodicals in Europe, together with poetry collections, of which Baghdad, and Matar AlMaot (Rain of Death) were published . He marrid Noriah Shaikh Al-Islami and have two son Showan & Amir and one daughter , Sham . accompanied by a number of relatives and tribe members, always accompanied Ahmed Beg Ahmed Beg attained his general education of religion, literature, language, and history through private tutors. In addition to the Kurdish language, he learned Persian, Turkish, and Arabic He was married to Saadat Khanim, daughter of Tahir Beg (the famous Kurdish poet, and son of Usman Pasha Jaff) and Adila Khanim (the first wife, and a great princess of the then Kurdish emirate of Ardalan in Persia, whom many foreign publishers dedicated long chapters in their books acknowledging her leadership during her husband’s rule in the Halabja town of Iraqi Kurdistan). 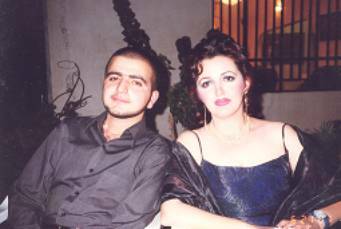 The couple had six children The first born was Raana Khanim (who is a popular and a well known lady amongst the Jaff Begzada. 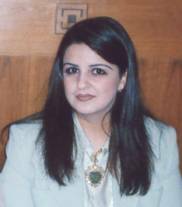 She is the wife of the late Dawood Beg Jaff, who was a parliament member in Iraq for many terms during the Monarchy reign). The other children are Hama Rashid Beg, Akhtar, Jamil, Mohammed Amin, and Parwez After the death of Saadat Khanim at a young age, Ahmed Beg married Shamsa Khanim, the daughter of Majeed Beg, son of Usman Pasha Jaff. 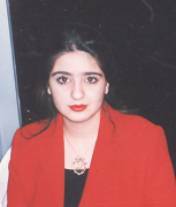 They had another six children (Parikhan, Suraya, Nisreen, Shawnam, Mohammed, and Hoshyar) After the death of Shamsa Khanim, Ahmed Beg married Bahiyah Khanim, from the Walubagi family. 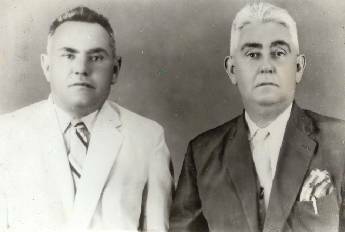 They were blessed with two sons, (Nabaz and Nawar, both have been living in France, since the completion of their post graduate studies) Ahmed Beg was a handsome man, well known for his humbleness, extreme generosity, open mindedness, wisdom, and long range views in the Begzada and Jaff’s tribal affairs. 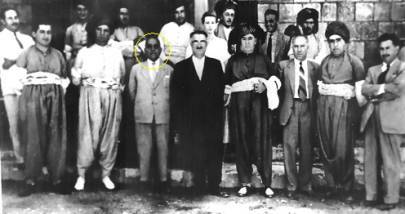 Ahmed Beg always showed great concern for the Kurds welfare through his strong relations with public officials, heads and chiefs of the tribal, social, and religious dignitaries, both Arabs and Kurds His prosperous homes were often visited by them at both the Kurdish town of Halabja and Baghdad. 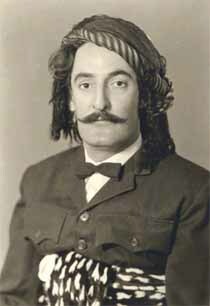 For these characteristics, the British author Major Edmonds recognized Ahmed Beg and published his picture fully attired in his unique Kurdish uniform, in his book Turks, Kurds, and Arabs Ahmed Beg served two terms as a member of the Iraqi Parliament under the Iraqi Monarchy reign. 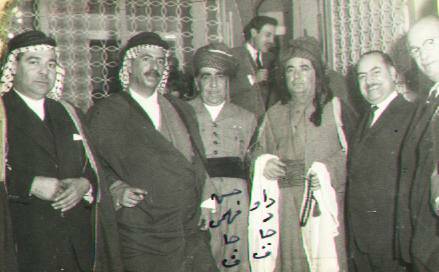 Prior to 1958, and during the declaration of the union between the Kingdom of Iraq and the Kingdom of Jordan, the Kurds were concerned with their future fait Consequently, a Kurdish dignitary delegation was formed Their mission was to meet with the Iraq’s King Faisal the second, Prince Abdul Ilah, and the Prime Minister. To pave the way and lay the groundwork for the delegation's goals and objectives, preliminary meetings were held with a number of Kurdish ministers and influential dignitaries. Ahmed Beg passed away in August of 1973, in Baghdad, at the age of 72. He was buried at Sheik Abdul Kadir Al-Gailani cemetery, in Baghdad. Mohammed Amin Jaff is the son of Ahmad Beg Hama Saleh Beg Jaff, the head of the Baram Begi of the Jaff Begzada. 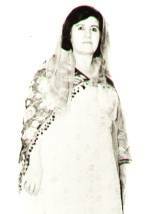 His mother Saadat Khanim, is the daughter of the famous Kurdish poet Tahir Beg, son of Usman Pasha Jaff. 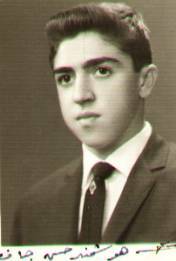 Mohammed Amin Jaff was born in the autumn of 1930, in the Village of Chirosana, near Halabja, located in the northeast region of Iraq. 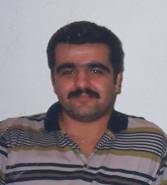 He completed his primary and secondary studies in Halabja and Kirkuk respectively. In 1954, he obtained his bachelor degree in Agricultural Economics from the University of Baghdad. In 1957, he obtained his Master degree in Agricultural Economics from the University of Arizona in Tucson, USA. In 1963, he attended a comprehensive one year management program at Transworld Management Corporation, Long Beach, CA, USA. In 1965, he attended a management program for the General Directors to improve the management and administration of the state’s industrial establishments. In 1968, he obtained a diploma through an advanced program and studies at ISVE, an Italian organization for economic development in Naples. 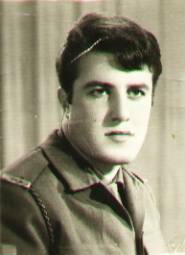 Mohammed Amin Jaff served at both the ministry of industry and the ministry of foreign affairs in Iraq during the period (1958 - 1993). He was well known for his strong management, administration, and diplomatic skills. In 1970 he was promoted to the post of Director General in the ministry of Industry. During his career, he directed several state owned organizations and companies. He was highly appreciated for his active role in achieving the objectives of these sectors. His contributions were evident in several managerial and administrative venues through his chairmanship or membership of various boards of directors. 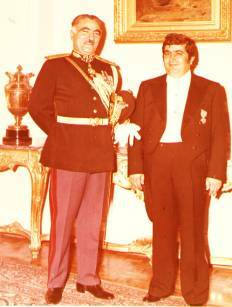 In late 1979 Mohammed Amin Jaff joined the diplomatic service, and was appointed as Ambassador in the Iraqi ministry of foreign affairs. 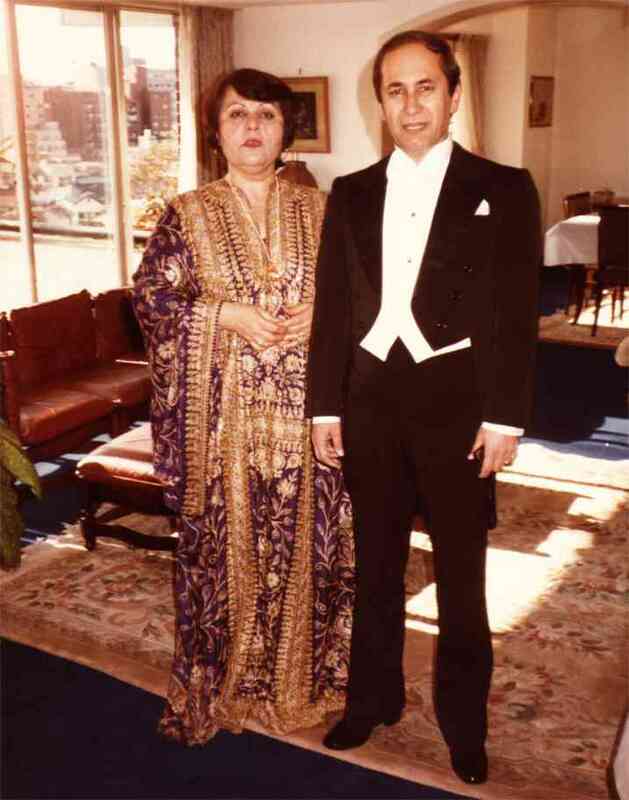 Shortly after his appointment he was assigned to the post of Ambassador to Japan, where he served until late 1986 for two consecutive terms, and became the dean of the Arab Ambassadors in Japan. Moreover, his skillful diplomatic efforts with regard to the Iran-Iraq war were highly effective and influential. He was instrumental in moderating the Japanese stance towards the Iran-Iraq war to a more balanced position, and in extending the Japanese involvement and its efforts in ending the bloodshed of that destructive war. In late 1986 he was moved to a more sensitive and even more important Ambassadorial post in China, as it is a permanent member of the Security Council and a focal point for Iraqi trade and diplomacy, especially during the Iran-Iraq war and its serious impact on their mutual economic interests. He remained in this post until late 1993 for two consecutive terms and again becoming the dean of the Arab Ambassadors in China. He was instrumental in maintaining the already advanced relationship with China. Mohammed Amin Jaff had an outstanding and active diplomatic role in developing a more advanced relationship between his country and the countries accredited to. The advancement of the official, economic and cultural ties had been well noticed. 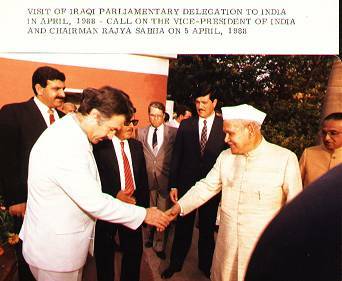 During his tenure, he built strong official and personal relations and acquaintances with top official leaders, parliamentarians, political parties, business circles, diplomatic corps, cultural institutions, professional unions, mass media, and other dignitaries. As to Mohammed Amin Jaff’s political view of the Kurdish case, regardless of his non-involvement in any of the political parties, he maintained a strong sense of belonging to his Kurdish nationality. He proudly defended the Kurdish case in various relevant occasions, through different means, with a logical and realistic view. In his view, the interest of the Kurdish nation in Iraq under the geopolitical surrounding require that the Iraqi Kurds enjoy their full political, cultural, and financial rights in the Iraqi region of Kurdistan under a large Iraqi umbrella. The Kurds should work on strengthening their friendly and brotherly ties with the Iraqi-Arab nation and the rest of the minorities to jointly achieve permanent security, stability, and prosperity, while maintaining a decent standard of living for the Kurdish nation and Iraq as a whole . It is worth mentioning that prior to the declaration of the law of autonomy for the Iraqi-Kurdistan region; Mohammed Amin Jaff had expressed his view clearly, in writing, when he was consulted, amongst others, by the Arab Baath ruling party as one of the visible Kurdish dignitaries and intellectuals in Baghdad. Mohammed Amin Jaff currently lives in the USA and Morocco. He has three children Sharmeen who has a master degree in city planning, Nazar who is an entrepreneur and a technology management consultant, and Diar who is .focused on Business Administration. He is Ali the son of Hussain Beg the son of Hasan Beg the son of Mohammed Pasha; he was born in Faqi Jenna village that was part of Warmawa district (presently Arbat) on 7th May1926, at exactly 17.30 pm. He attended the Faisalia elementary school in Sulaimania in 1934, which was a basic change in his life, as he began to encounter city life in contrast to his village background. After the revolution of Rasheed A’ali Al Gailani in 1941 he left his school for two years and returned to his old village where he learnt the arts of horse riding and shooting. In 1943 he went back to Sulaimania to continue his studies. 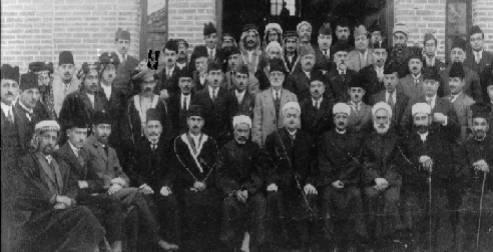 At that period the communist party of Iraq was the only active political organization in Sulaimania, proclaiming to defend democracy and the rights of the Kurdish people, which pushed many Kurdish youths to join in, and the party itself was keen to attract members of prominent families and tribes into its organization. 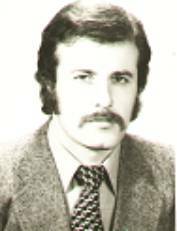 Ali Beg Jaff was one of those who did join the communist party to begin his political activism in that party, and became Secretary General of the Students Union in Sulaimania and a prominent member of the party. 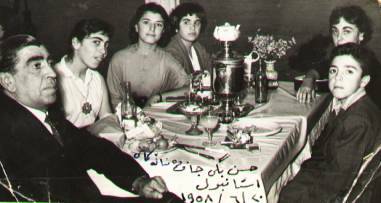 An order by the authorities for his arrest was issued, that forced him to hide and took sanctuary among the Jaff tribe in the Shahrezoor area in Mohammed Beg Jaff’s house together with other communist fugitives. He was arrested upon his return to Sulaimania and was dispatched to Kirkuk to stand trial and served his sentence. Later he went to Baghdad and continued his studies at the Institute of Science. He was then contacted by the communist party and rejoined the movement and political activities in Baghdad. He was once again arrested in 1948 during a mass demonstration which was organized by the communist party in Baghdad, was beaten and injured, and then was imprisoned for three years with hard labour. Upon appealing the verdict, the sentence was increased by six months, which he served in Baghdad and Kut prisons. The activism and events enriched his life at such youthful time and he continued to work with the communist party until 1958 when he diverted his energies to farming and managing his estates. 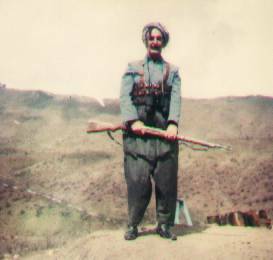 Ali Beg joined the September revolt of great patriot Mullah Mustafa Barzani in 11 September 1961 to 1975. 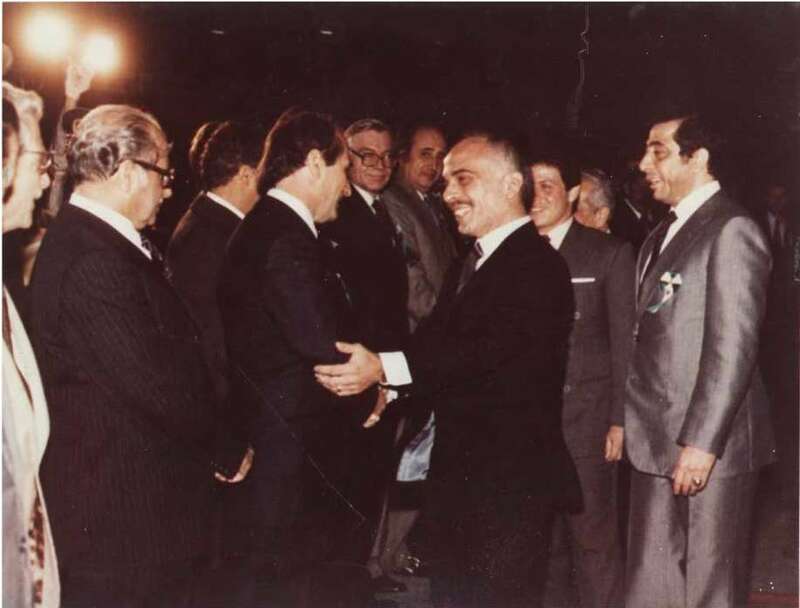 After the Algerian accord between the Iraqi government and Mohammed Reza Pehlawi, the Shah of Iran, the revolution collapsed and the Kurdish parties became dispersed. A year later the parties started reorganizing themselves by formulating secret political and military cells in all parts of Iraqi Kurdistan, and a new parties emerged such as the Kurdistan National Union under the leadership of the nationalist patriot Jalal Talabani, and the Kurdistan Socialist Party, the Pasok Party and others. Ali Beg joined the Pasok Party to continue his patriotic mission in this party to become one of its leaders. 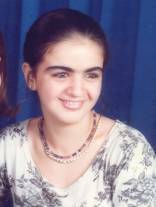 After the elections in the Kurdistan region in 1992 the Pasok party amalgamated with Kurdish people’s party to be known as the Tajamo’a (amalgamation). He became a member of the central committee of the new party in the first conference in Erbil. Upon the amalgamation of this party with Democratic Party of Kurdistan, he became a General Inspector in the Government of the Province of Kurdistan and submitted many reports for reforms of the party and community. 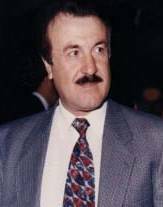 Salah Eddin is the son of Abdul Rahman Beg ben Fattah Beg ben Mohammed Pasha Jaff, was born in Kani Sard village of Iraq Kurdistan in 1934. He completed his elementary and secondary schooling in Khanaqeen city, and then traveled to West Germany in 1964 to continue his studies. After returning from Germany, he joined the Kurdistan Democratic Party to start his patriotic struggle for the liberation of Kurdistan. Salah Eddin Jaff was one of the most active and disciplined cadres of the Party; and continued until 1971 when he gave his life for the destined cause from the day that he obtained the full membership of the Party and joined the revolutionary struggle and the sacrifice for the this homeland and to die for his noble principles. In one of December 1971 days Salah Eddin was captured and taken to Qasr Elnehaya (The Palace of End) where he was subjected to savage torture which he resisted and refused to confess to any information about himself and others whom he had contacts with. His fate was sealed; on 12-5-1974 when he was killed together with the patriots Leila Qassim and Mullah Haider the person responsible for local committee of Kifry and Abdullah Abbas the person in- charge of Jalola Party Unit; Hameed Abdulla the party member, and Haseeb Ali a citizen if Jebara village, and Saber Hamza Aga. As Mr. Masood Barzani states in his book (The Barzani and the Kurdish Liberation movement, part 3, September Revolution 1961-1975, documentary app. –Erbil –2002) “The leadership of the revolution tried to save their lives from the hands of the torturers and failed. 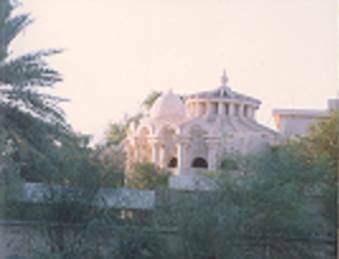 From the prominent BeGezada Jaff and outstanding citizens in the Halabcha town and few rich, who inherited an honorable hereditary and original lineage. Abdul Hameed was born in Halabcha town in 1895 and attended his religious studies on the hands of specialist teachers known for their in depth in knowledge and extensive follow up in their religious and fiqh studies. The British authorities chose him during the occupation period assistant to the Political Governor of Halabcha due to wide influence in the area. 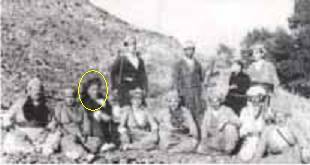 Then the Offecial Person (Qaem’maqam) during the nationalist government of the town from 1924 to 1932, to be transferred to Chemjamal in the same capacity. Throughout this time, he implemented wide spread significant reforms with lasting effects, which witness his mature thinking and elegant taste. 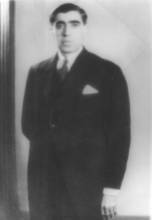 In 1935 he was elected a Member of Parliament representing Sulaimania during the rule of the late Yaseen ElHashmi and continued throughout the government of Hikmet Sulaiman. During his membership in the Parliament, he was known for his genuine nationalistic stands and defense of the rights of the nation and for its prosperity, and showed his sincerity and intelligence in the public service. In 1038 he traveled extensively in Turkey, Egypt, Syria, and Palestine on personal business to consolidate the plantation of tobacco and marketing it there. Abdul Hameed Beg was one of best-known owner of agricultural land in Sulaimania, producing tobacco and various types of seeds. Abdul Hameed was characterized by the softness in his talk, charm, and eloquence as well as his high-level manners, outstanding culture, and distinguished honor. He died in Baghdad in 1987. Burhan Beg was a young man of immense intelligence and knowledge that could be seen on his face; he combined the intelligent skills and high up- bringing that attracted admiration of others. His cultural standard pushed him to the level of rational young men in the service of their people. 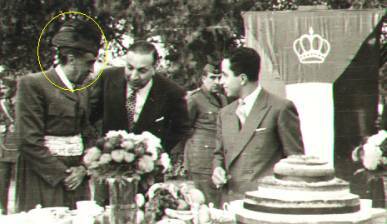 He is the elder son of Mr. Abdul Hameed Beg Jaff; born in Sulaimania in 1920 where he attended the elementary school, then moved to Baghdad to continue his schooling. He chose to return to Sulaimania and completed the secondary education from Kirkuk School. He joined the College of Law in Baghdad, graduated in 1944 and started practicing law. 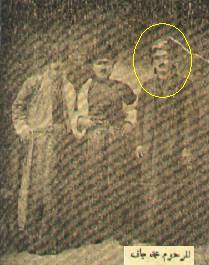 He could have joined the government service at that time, but his ambitions to work freely and manage his father’s estates and land, made take this path making use of his early experiences in the trade of his father; he became a prominent business person in Iraq, and also being a highly respected person in all walks of life. Due to his high capabilities and diligence in his field of work together with deep knowledge, he was chosen a member of the legal delegation of the medical conference in Cairo in 1944. During the Monarchy period in the nineteen fifties he was appointed the Qaem’maqam of Sheqlawa, then after the Director General of the Iraqi Mills Establishment in Baghdad. He was martyred in 1985 in his house by the bombing of Baghdad during the Iraq- Iran war, and was buried in shrine of Sheikh Abdul Qader El Gelani in Baghdad.